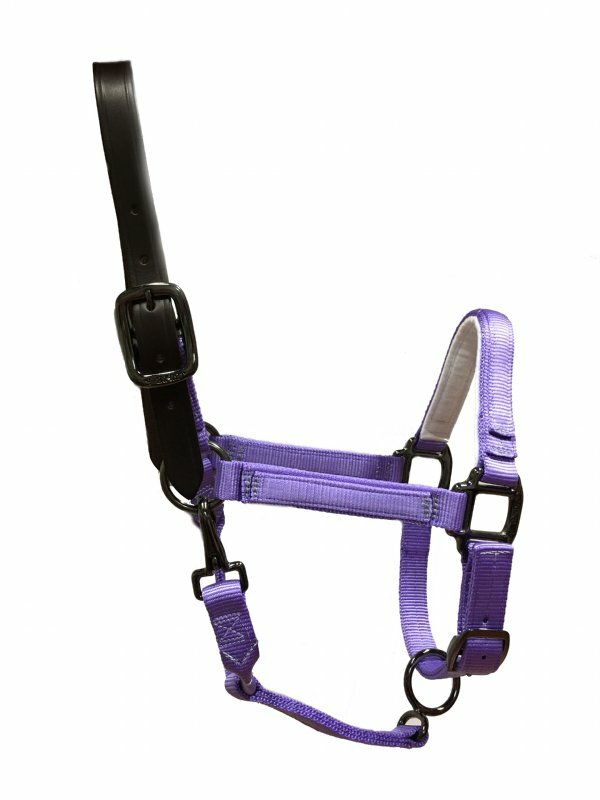 The Ultimate Custom Nylon Halter is made to your exact specifications with specially milled-premium nylon webbing and custom options and combinations you won't find anywhere else. 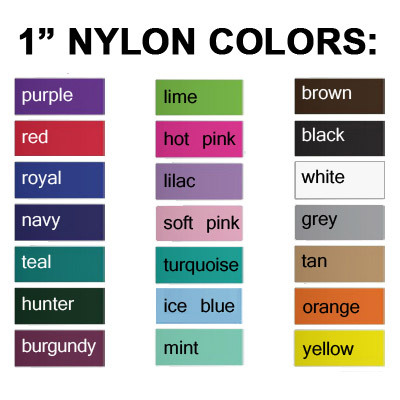 Let us create the perfect halter for your unique style and your horse's unique needs. 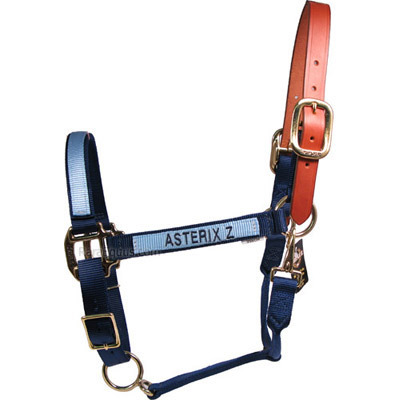 Each halter is made in the USA with nylon that is milled (in the USA) especially for halters. Even our basic nylon halter has a softness and thickness that make it distinctly higher quality than the typical imported nylon halter. **See below for full description and available options. 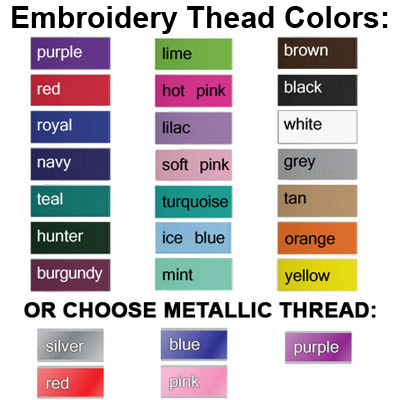 If embroidery purchased, embroidery font (see options above right) You have 20 characters left. 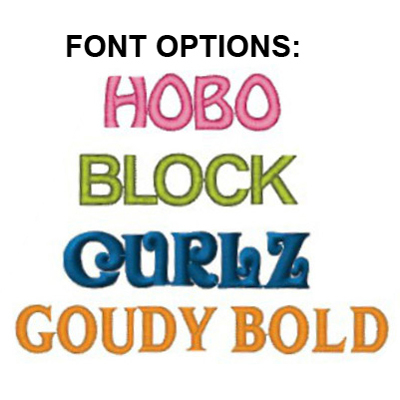 Do not use HTML. 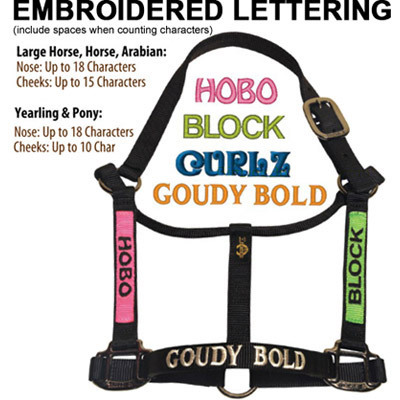 Noseband Embroidery Text (if purchased) You have 15 characters left. Do not use HTML. Cheek Embroidery Text (if purchased) You have 18 characters left. Do not use HTML. 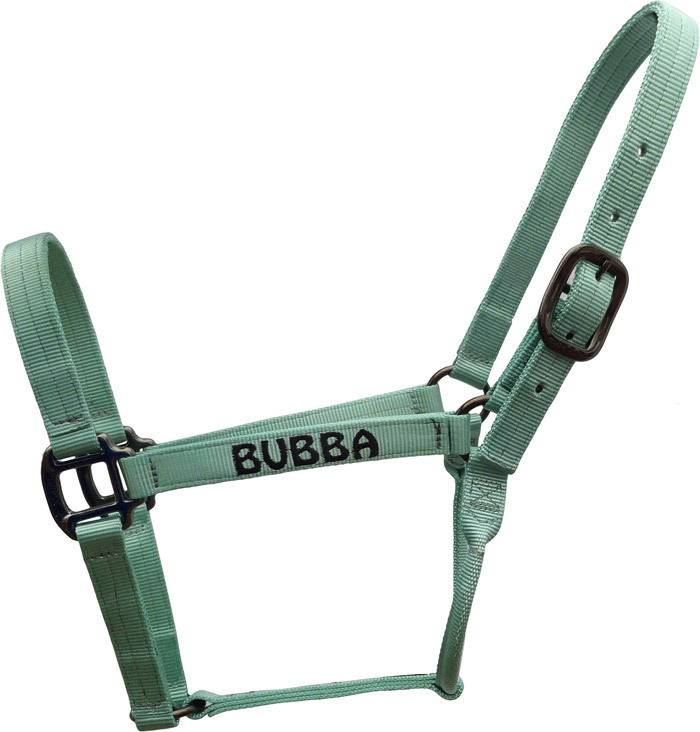 The Ultimate Custom Nylon Halter is made to your exact specifications with specially milled-premium nylon webbing and custom options and combinations you won't find anywhere else. 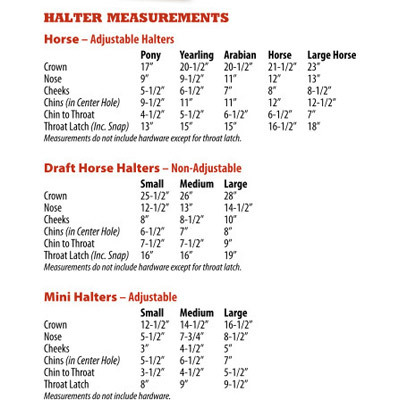 Let us create the perfect halter for your unique style and your horse's unique needs. 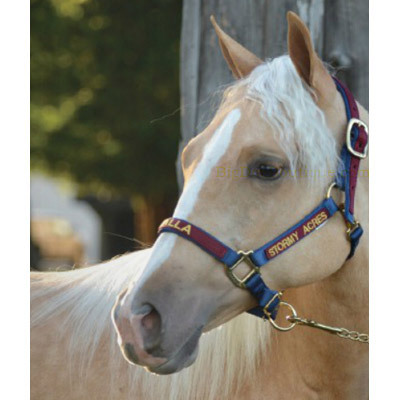 Each halter is made in the USA with nylon that is milled (in the USA) especially for halters. Even our basic nylon halter has a softness and thickness that make it distinctly higher quality than the typical imported nylon halter. See color swatches here. 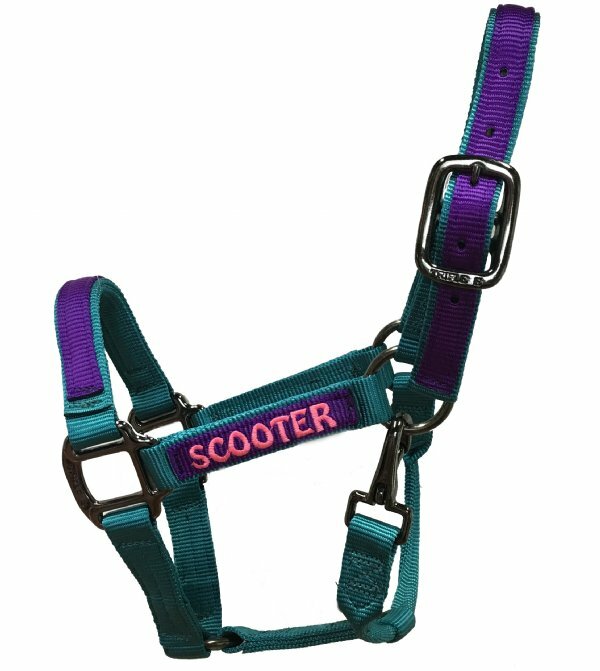 This halter is made to your specifications when ordered, and requires about 2-3 weeks for production before it will ship. 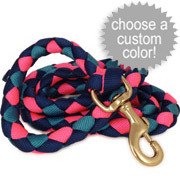 Goes great with our custom color lead ropes. 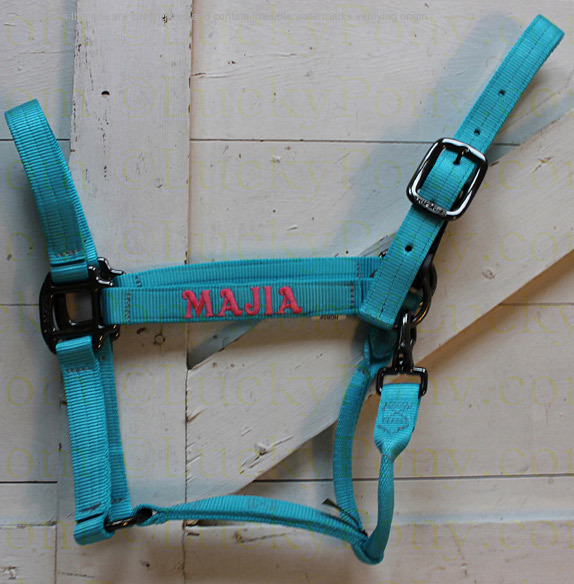 Review Text: I have been looking forever for a teal halter to complement my mares plain brown head. 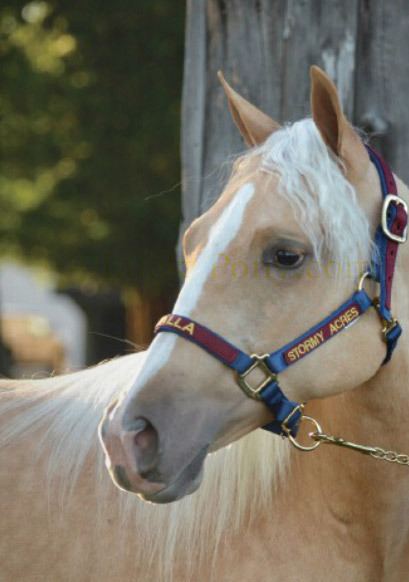 So I was excited when I can across the Lucky Pony with options to customize a halter. The halter is well made although a little lighter than I expected...I prefer a 3 ply and this looks like a 2 ply. I also should have ordered a smaller size for my mares petite head. But otherwise the color and quality are good. 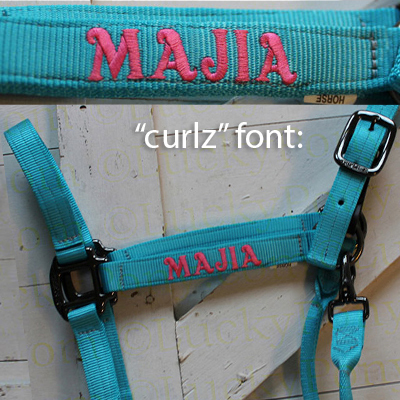 Review Text: I ordered a custom halter for my mare and was beyond happy with the end product. The color is beautiful and the quality is fantastic. I love that you can choose hardware color. Great products and delivered on time. I can’t wait to order more !! 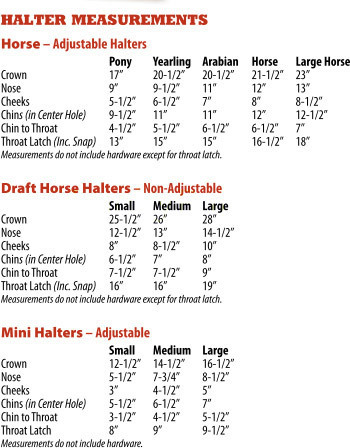 Review Text: My horse''s head is too large to fit into an average sized halter, but often draft sizes are too big for him, the Large horse option fit him perfectly. 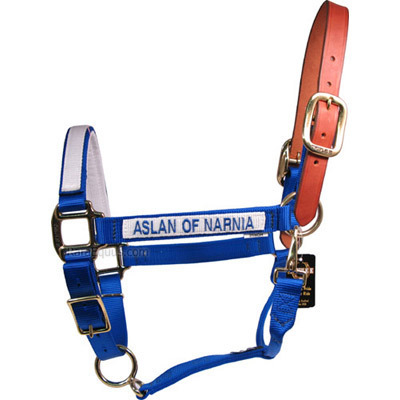 I am very happy with the colour and the quality of the halter, I''ve had it for about two years and it hasn''t faded or torn. I will be ordering another one soon. 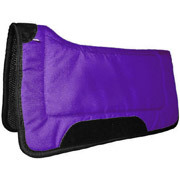 Review Text: I ordered this as a gift for a very picky horse owner, and I could not have been happier with the results!! The halter turned out perfect, even the added touch of the white felt padding under the maroon and pink nylon looks perfect! I would definitely order this again! 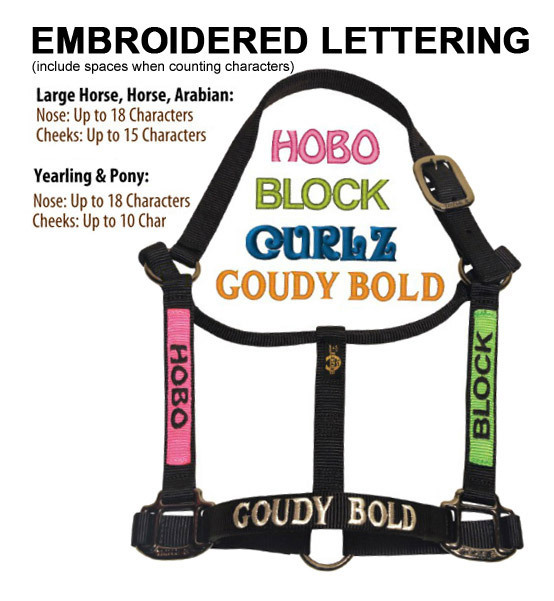 Review Text: I just received my new personalized halter and love it. I will be ordering another one. I have received compliments on it. It is exactly what I ordered, I had some questions and called and was greatly helped and advised. I don''t order a lot online and I will definitely order from Lucky Pony again. 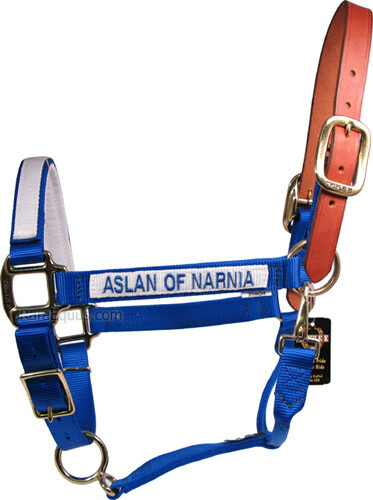 everyone at my barn loves this halter!!! Review Text: This halter is great quality. The embroidery is faultless. The buckles and rings are all 'heavy duty', not just cheap ones. This halter will last a long time. Im incredibly happy with them! I do suggest, however, if your horse is an 'in-' size to go down as they are quite long in the cheek strap. 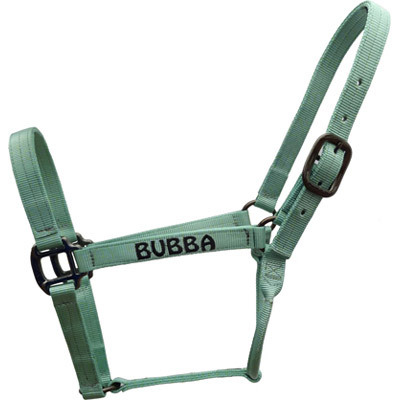 Review Text: This is a great heavy duty halter and the color options are great! I got the one that has the adjustable chin strap. I reall like this feature! This is my 5th halter from lucky pony and I will order more soon! Review Text: Beautiful halter! Colours and size are true. Looks great on my horse! Little disappointed though as there is already rust and the halter is 2 weeks old. Would order another again! Review Text: Great quality and exactly what we wanted. I even made an error in the order and they picked up on it before they customized it and contacted me to make sure! Very happy with the way it turned out - colors worked well and embroidery was amazing! Review Text: Have been extremely impressed with the outcome of my halter, the colour and embroidery were exactly how I expected them to be, they pretty much exceeded all my expectations and now I can't wait to order more for the other horses. 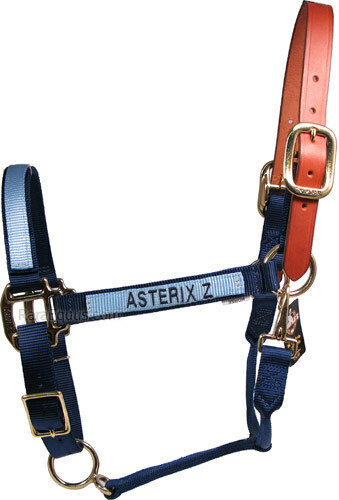 The sizing is great and they're a great quality halter. I love the leather crown will be using this on my thoroughbred for stable use and just an everyday halter. And to take to shows so everyone knows his name! Review Text: I ordered a "pony "size halter for my son's pony and I was surprised that it was smaller than his other 2 old pony halters. I thought he was an average size pony with a small head. We punched a new hole at the end and barely fit. With his name on it, we couldn't send back. The quality and appearance of the halter was excellent. My son loved the hunter green and yellow. Review Text: This halter is beautiful. Made in the USA and the quality is outstanding. Definitely worth the wait!